The Florida climate and culture could hardly be further from Tobias’s other favorite hangout, Vienna. While a member of the Junges Ensemble at the Theater an der Wien, he made his European debut as the title role of Eugene Onegin at the Wiener Kammeroper, followed by performances of Argante in Rinaldo, which he reprised in a tour to the Bolshoi Theater, Ramiro in L’heure Espagnole, Le Directeur and Le Gendarme in Les mamelles de Tirésias, Cecco in Gli Uccellatori, and was presented in solo concert and recital. He has continued to perform at the Theater an der Wien, where he is currently rehearsing the role of Demetrius in Britten’s A Midsummer Night’s Dream; he has also performed at the Wiener Kammeroper and, more recently, at the Arnold Schoenberg Center there. This season Tobias will make role debuts as both Demetrius (A Midsummer Night’s Dream) and Cecil (Maria Stuarda) at Theater an der Wien, as well as house debuts with Glyndebourne on tour as Figaro (Il barbiere di Siviglia), and at the prestigious Festival d’Aix as Aeneas (Dido and Aeneas). Additionally, he will sing Maximilian (Candide) with Palm Beach Opera. Tobias made his European debut singing the title role in Eugene Onegin at the Wiener Kammeroper. Whilst working in Vienna he sang Ned Keene (Peter Grimes), Escamillo (Carmen), Argante (Rinaldo), Peter (Hänsel und Gretel), and Ramiro (L’heure Espagnole). Last season, Tobias sang the role of of Tom Joad (The Grapes of Wrath) with the Opera Theatre of Saint Louis, and debuted as the Cold Genius and Merlin (King Arthur) at the Staatstheater am Gärtnerplatz. Upcoming engagements include the title role in Don Giovanni with Virginia Opera, Tom Joad (The Grapes of Wrath) with Michigan Opera Theater, and Malatesta (Don Pasquale) with Opera National de Montpellier. On March 4, The Cecilia Chorus of New York will present a quadruple bill of works by French composers: Requiem (1983) by Charles Gounod, Cantique de Jean Racine (1866) by Gabriel Fauré, the organ solo Dieu Parmi Nous (1935) by Olivier Messiaen, and the U.S. premiere of Messe Romane (2014) by Thierry Escaich. Though less well known in the United States than his predecessors, Escaich, at 52, is currently one of the most important contemporary composers in France, inspired by the French tradition of organist-composers such as Ravel, Messiaen, Dutilleux, Fauré, and Franck. He has composed over 120 works, recorded over 50 CDs and DVDs, and is celebrated and sought after as a creator and performer around the world. Last month, arriving in Paris for a week’s vacation, I decided to contact Thierry Escaich in the hopes of scheduling an interview with him while I was in town. Knowing what a demanding work and travel schedule he follows, I wasn’t surprised when I didn’t hear back from him. But in the wee hours of the morning I was to leave on a high-speed train to Amsterdam, my phone pinged: Excusez-moi, I have been working like a madman on a viola concerto for the Royal Concertgebouw Orchestra and I just now finished it, completely exhausted. Could we meet later this morning? Plans were re-adjusted, bags were hastily packed and an hour before my train was to depart, Escaich rose to greet me at a back table in the Café Terminus Nord, across the street from the train station. Looking pale and creased but smiling genially, Escaich started by correcting my pronunciation of his name. Escaich: It looks like ES-CA-ITCH, but it’s actually pronounced ES-KETCH. This is an old name in the Occitane dialect from the province of Bėarn-l’Ariège, in the Pyrenees mountains near the Spanish border, where my father’s family lived. And where Gabriel Fauré, one of my role models as an organist-composer, came from, by the way! The name Escaich means a small piece of fabric, like a swatch. Most people in France have never heard of it. My father came from a family of peasants, but he escaped the farming life by joining the military. My mother was a schoolteacher. I myself was born in Rosny-sous-Bois, a suburb of Paris. My parents were not musical themselves, but when I was about three or four they noticed that I invented my own way of notating music that I heard on the radio and television and even composed little songs of my own, and they encouraged my talent. When I entered primary school they gave me an accordion, and from the age of 13 to 15, I was the world champion accordionist in my age group! I still love the accordion, but the organ soon took precedence. Before I knew it, I was hired as the official church organist. I didn’t know how to read music, but I knew the hymns by heart from having attended church regularly, and I could improvise on entrances and exits, so it didn’t matter. I didn’t start piano lessons until two years later, when I was nine. Eschaich’s work consists of composing, performing, and collaborating with other creative artists, and includes orchestral music, solo music, vocal and choral music, opera, and music for dance and films. Why did you give the Messe Romane—Roman Mass—that title? I was commissioned to write this work in 2014 for a special concert at the Cathedral of Notre Dame in Paris, where several choruses were to sing together. Each choir would rehearse the piece individually but not together in one place! So I wrote it for two choruses, which respond to each other. In the traditional Gregorian—early Roman—mass, the priest sings part of the mass and the chorus or congregation sings the response. Messe Romane is reminiscent of Gregorian chants, with its use of call and response. I know that your chorus will be divided in two for this purpose. You have written masses, oratorios, and—increasingly—operas. Do you see a relationship between the human voice and the organ? To me they are both musical instruments, just like the various instruments in an orchestra. People who hear me play the organ say that they think they are hearing an entire orchestra. In my compositions I am always trying to express something, and I use the voice to express the same message with the same intensity as the other instruments. The great master at doing this was Bach, with his cantatas. I understand that The Cecilia Chorus of New York performed Bach’s Christmas Oratorio with great success in December, so I’m confident you’ll do a great job with my Messe Romane! Composer, organist, and improviser Thierry Escaich is a unique figure in contemporary music and one of the most important French composers of his generation. Escaich draws from the French line of composition of Ravel, Messiaen and Dutilleux, and whose works are imbued with references from contemporary, folk, and spiritual music. His most recent new works include a Viola Concerto for Antoine Tamestit commissioned by Netherlands Radio Philharmonic, and Organ Concerto No. 3 which received its European premiere by Escaich and Orchestre National de Lyon in November 2017. His works are performed by leading orchestras in Europe and North America and by musicians such as Lisa Batiashvili and François Leleux, Valery Gergiev, Lothar Zagrosek, Renaud and Gautier Capuçon, Emmanuelle Bertrand, Paul Meyer, John Mark Ainsley, and the Quatuor Voce. Esciach is featured composer of the 2018 Radio France Présences Festival, and other highlights of the season include the world premiere of his Viola Concerto for Antoine Tamestit at the Royal Concertgebouw in Amsterdam, and Stéphane Denève, and the European Premiere of Organ Concerto No. 3 with Escaich as soloist alongside the Orchestre National de Lyon and Leonard Slatkin in Lyon and at the Paris Philharmonie. Thierry Escaich is represented by Intermusica. Organist Bálint Karosi: We Need Composers like Escaich! Bálint Karosi (38) was somewhat taken aback when he heard that Thierry Escaich—one of his heroes—had originally wanted to play the organ himself during our March 4 performance of his Messe Romane; due to scheduling conflicts, Escaich was unable to come and Karosi was asked in his place. “Talk about pressure!” he said, laughing. In fact, Karosi will play all three choral works plus an organ solo on the program by a quartet of French organist-composers. Karosi: All four composers on the program occupy a special place in the great French tradition of organists-composers-improvisers. Both Gounod and Fauré worked to come to terms with their own compositional style in relation to the classical German composers of the day, especially Wagner. They emphasized clarity and harmonic simplicity as opposed to Wagner’s bombastic complexity. That’s why their music is so beautiful to listen to. Messiaen invented his own colorful style that he described as “...true music, music that is to say spiritual, a music which may be an act of faith; a music which may touch upon all subjects without ceasing to touch upon God.” I have yet to find a more poetic and beautiful description of music! How does Escaich fit into this tradition? Karosi: I had the pleasure of meeting Thierry Escaich years ago when I was a student at Oberlin on an organ tour of France. He has a delightful personality that shines through in his music, which engages and enchants his audiences. In fact, his works are complicated and include dissonant harmonies and nontraditional scales, but on the surface they are pleasing, likeable, flamboyant, and gestural. He writes for dance and movies as well as for orchestras and operas. He is doing something very important for the future of organ music: he is making it appealing to a contemporary audience; he is keeping it relevant. In Europe, with its many cathedrals, this is a bit easier, as church music is still a vital part of the culture there. But here in the United States, we really need composers like Escaich to revitalize the appeal of the organ. Is composing and improvising on the organ as strong a tradition in the United States? Karosi: Organ improvisation is not taught so much in U.S. conservatories, where organists generally hope to play in concerts rather than in church services, though most of them also have jobs as church organists. In concerts, you are expected to play the repertoire the way it is written. But in church, the organist has a huge amount of freedom, especially, in hymn playing, where organists are expected to come up with improvised ornamentation and variations, similar to jazz musicians, who learn to improvise by ornamenting and elaborating on jazz standards. During a traditional liturgy, organists need to fill silence, like the censing of the altar or sometimes during communion. So we improvise. Born in Budapest and starting his musical education at the age of seven, Karosi attended the Liszt Academy in Budapest, where he concentrated on piano, organ and clarinet. But when he got a scholarship to spend two years in Geneva studying with the great composer and organist Lionel Rogg at the conservatory there, he realized that composition and organ improvisation would be his future. He was thrilled to have the chance to play on beautifully preserved historic organs. Karosi: Switzerland is full of them! There are no 17th and very few 18th century organs in Hungary and those that are there are generally in poor condition, although there is a very strong revival of old organs in most recent years. The reason is of course historic: central Europe was ruled by the Ottoman Empire years from 1541 to 1699, and churches were either destroyed or turned into mosques, like the Matthias Church in Budapest. But in Switzerland the organs have been preserved and contemporary Swiss organ builders are still making new organs based on 17th or 18th century designs. Still, the United States beckoned. In 2003, Karosi did a master class with the acclaimed organist James David Christie, who invited him to continue his studies with him at the Oberlin Conservatory. Karosi received a master’s degree in historical keyboard performance, an artist diploma in organ performance, and recently—after spending eight years working in Boston—a doctorate in composition at Yale. In 2015, he took the position of organist at the Saint Peter’s Church in midtown Manhattan. Karosi: I love the dynamism of New York City – there is so much going on here! But I decided to move to Westchester, because I am hypersensitive to noise. I live with my fiancée, my three clavichords and harpsichord in the woods in Hartsdale, listening to the birds and getting inspiration from them, like Messiaen did! For more information on Bálint Karosi, a complete list of his works and samples of his music, see his website. Bálint Karosi, composer and organist, has won first prizes at the J. S. Bach Competition in Leipzig, the Dublin and Miami International Organ Competitions, and is the recipient of the 2014 Charles Ives Scholarship by the American Academy of Arts and Letters. He has recorded four CDs, The Art of Fugue and the Clavier-übung III by Bach and an album of his own compositions, released by Hungaroton and Dulzian Records. 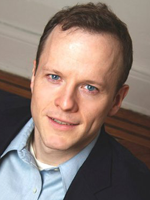 Bálint currently serves as cantor at Saint Peter’s Lutheran Church in midtown Manhattan, where he oversees an ambitious musical program with frequent performances of choral and orchestral works, including performances of J.S. Bach’s Passions on Good Friday. He founded the Saint Peter’s Bach Collegium. Bálint’s commissions include an overture for the Hungarian State Opera, a Reformation Symphony, two organ concerti, a harpsichord and a triple concerto, a bassoon sonata and three cantatas and concertos for strings. He is under management with Penny Lorenz Artist Management. Bálint studied at the Liszt Academy in Budapest, the Conservatoire de Genève, the Oberlin Conservatory, and earned his Doctor of Musical Arts in Composition at Yale University. Sitting in Lincoln Center’s Indie café with Charles as the words tumbled out of his mouth, it was hard to imagine him being unable to talk. Nor was there any evidence from the smiling, outgoing 25-year-old that he had ever been shy and socially awkward. But the path to where he is now—a member of the highly selective Juilliard Opera Studies program and poised to make his Carnegie Hall debut in Bach’s Christmas Oratorio—has been strewn with obstacles. Charles’s parents, immigrants from the Philippines, had a contentious marriage, which ended in divorce when he was very young, forcing his mother to support him and his sister on her own. Difficult as that already was, Ms. Sy developed cancer three separate times and was sick for much of Charles’s childhood. He was an excellent student, wanting to please his mother by getting the highest marks. He especially loved science and dreamed of becoming a doctor one day. But between his schoolwork and caring for his mother, there was no time for Charles to make friends. He was isolated, terrible at sports, and very insecure. But the Catholic school had a choir, and it turned out he had an aptitude for singing. This became his one hobby, his one social event at school. It was clear that he needed voice training to correct this, and although the thought never occurred to his family nor to him that he might become a professional singer, he auditioned and was accepted at the Cawthra Park Secondary School which is specialized in the arts. That is where his life began to change. In addition to the usual subjects, music majors learned theory, harmony, and music history. They learned to sing pop, musical theater, ensemble singing, and classical music, and although Charles loved musicals and still does, he did not have the brassy belting voice required to sing in them. (He did perform in a school production of West Side Story, however, playing a member of the Puerto Rican gang, The Sharks. “My Asian face passed for Latino.”). Charles met other students like him who were passionate about music, many of whom hoped to pursue a career in it. It started to dawn on him that that might be an option for him, too. His mother was sick again and couldn’t work, and Charles had to help support the family as well as paying for his college tuition. Unable to afford living on campus, he lived at home, which was about two hours away by bus. In addition to that daily commute, he worked in a restaurant in Oakville, another hour and a half each way by train, from 5 p.m. to 1 a.m. But in spite of the grueling hours, he actually loved that job. Toronto native Charles Sy has been recognized internationally as a promising young artist with a “softly lyric sound, a natural sense of phrasing coupled with a rare willingness to project beyond the apron” (National Post). He is described as “vocally and dramatically mature with a delicious dark tenor sound that [stretches] easily into shining high notes” (Schmopera). Sy is a recent graduate of the Canadian Opera Company’s Ensemble Studio and received both First prize and Audience Choice in their 2014 Centre Stage Competition. He is currently completing an Artist Diploma in Opera Studies at the Juilliard School. A graduate of the University of Toronto (BMus, MMus), Sy is also an alumnus of several training programs including Music Academy of the West in Santa Barbara, Opera Theatre of Saint Louis, the Art of Song Fellowship at the Toronto Summer Music Festival, and the Opera as Theatre program at the Banff Centre. In less than two weeks—on Saturday, December 9 at 8 p.m.—The Cecilia Chorus of New York will present a gift of exquisite confections to the Carnegie Hall audience: Bach’s Christmas Oratorio. Of the two holiday concert audience favorites, Bach’s Christmas Oratorio faces a greater narrative challenge than Handel’s Messiah. Originally intended as an Easter oratorio, Messiah includes the stories of the brutalizing and crucifixion of Jesus, which are laden with narrative tension. The six cantatas comprising the Christmas Oratorio all tell positive stories, from the birth of Christ to the arrival of the Magi bearing gifts. Christmas is a lovely, comforting celebration, but where’s the drama? Bach’s answer: in the music! Scholars of religion write of twin strands in the Christmas holiday: the element of the Winter Solstice stretching back to prehistory, and commemoration of the birth of Christ, which was added on two thousand years ago. Bach takes both of these strands and then “does Bach” with them, delivering gorgeous, lyrical passages of pastoral peace and repose and alternating them with exuberant rejoicing in fugues that are like fireworks, as only Bach can do. He really turns on the lights. All that diversity is a challenge for singers, by the way. I’m so proud of our chorus for mastering Bach’s elaborate counterpoint and often unexpected changes in harmony and pattern. And for our soloists, the great challenge is the enormous range of expression required, from radiant to heroic, from soothing to triumphant. But we knew they could excel in this—that’s why they were cast! The instrumentation Bach chose differs from cantata to cantata. At a certain point, hunting horns and up to four oboes join in! Isn’t this unusual for an oratorio? Well, the Christmas Oratorio wasn’t originally written to be performed in one go. Each cantata was to be performed on separate days, from Christmas to New Year’s Day. So Bach could hire different musicians on each day, according to the expressive and coloristic needs of the piece. In Part II, which tells of the shepherds in the fields being the first to be alerted to the birth of Jesus, oboes and flutes indicate the shepherds’ pipes. Hunting horns were actually used quite often in 18th century German compositions to represent the great outdoors; here they accompany the journey of the Wise Men. An evening where all six cantatas are presented is like feasting on a box of confectionary, like the macaroons in our graphic image. The basic cuisine is the same but they all have different flavors and colors. Parts of the Christmas Oratorio are actually borrowed from earlier work that Bach had written, sometimes on secular themes. Was the soothing lullaby Schlafe Mein Liebster (Sleep, My Dearest) in Part II one of those? Yes! In fact Bach originally wrote it with an entirely different meaning in his dramma per musica, or musical drama, called Hercules at the Crossroads. The young hero Hercules arrives at a crossroads where he is confronted by two women: Pleasure and Virtue. Competing for his affections, Pleasure tries to seduce Hercules to bed with a soothing serenade. Hercules ultimately rejects her, opting for Virtue, but Bach didn’t let that lovely lullaby go to waste. He recycled it for the Oratorio, giving it to the Virgin Mary singing Jesus to sleep in the manger. Seated before a window, with the morning light filtered through gauzy curtains, Renee Tatum smiled into the camera of her computer when my Skype call came through. She was at her home in Boston, where she is now based and where she relaxes between travels and performances. Just this summer she covered her first Fricka in Wagner’s Das Rheingold with the New York Philharmonic, sang Flosshilde in the Boston Symphony Orchestra’s production of the same work at Tanglewood, and performed two roles in Van Gogh’s Ear with the Ensemble for the Romantic Century in New York City. After singing the mezzo-soprano solo part with The Cecilia Chorus of New York in Carnegie Hall on December 9, she will perform in Parsifal at the Metropolitan Opera in January and February, followed by roles in both Durufle’s Requiem with Back Bay Chorale and Threepenny Opera with the Boston Lyric Opera in March. Further engagements this season include Penderecki’s Credo with the Indianapolis Symphony in April and Der Ring des Nibelungen at the San Francisco Opera in June and July. Noted for her “commanding and dramatic presence” (Opera News), mezzo-soprano Renee Tatum is rapidly gaining critical acclaim on the most prestigious opera stages in the United States. This season’s engagements include Flosshilde in Das Rheingold with Tanglewood Music Festival; Flosshilde in Das Rheingold and Götterdämmerung and Waltraute in Die Walküre with San Francisco Opera; Jenny in Threepenny Opera with Boston Lyric Opera; Flower Maiden in Parsifal at The Metropolitan Opera; and Ensemble for the Romantic Century’s production of Van Gogh’s Ear at The Pershing Square Signature Center in New York City. She also sang a concert entitled “Opera Italiana Forever Young” as part of the Central Park Summer Concerts series and Das Rheingold in concert with the New York Philharmonic at Lincoln Center. In addition to singing beautiful music, members of The Cecilia Chorus of New York volunteer their time, talents, and expertise to making sure the chorus functions perfectly and its concerts go off without a hitch. In this newsletter, long-time members Sherry Chapin and Katie Davis lift the curtain just a little to reveal some of the many ways in which they make things happen behind the scenes. Nearly 40 years ago, working at the time as the director of training and development for Chase Bank (now JPMorgan Chase), Sherry joined The Cecilia Chorus of New York, and our December 9th performance of Bach’s Christmas Oratorio will mark her 137th concert sung in Carnegie Hall. At various times, her two sons were also members of the Chorus: “It was such a thrill to stand on that stage and sing with my boys!” she recalls. For nearly 35 of those years, Sherry served on the chorus’s board in one capacity or another. Although she has now left the board, she is no less involved in the day-to-day workings of the chorus. Her most visible role is that of handling auditions. OUR NEW SEASON HAS BEGUN! The Cecilia Chorus of New York kicks off the 2017-18 season with a burst of holiday joy. Coming together in Carnegie Hall to perform Bach’s beloved Christmas Oratorio (Weinachtsoratorium), our 170 member strong SATB Chorus will be joined by a full orchestra and soloists Rebecca Farley (soprano), Renee Tatum (mezzo-soprano), and William Guanbo Su (bass). Bach’s Christmas Oratorio, one of the composer’s most lavish musical achievements, comprises six cantatas that were written to be performed on consecutive feast-day mornings from the Nativity through Epiphany. Although each cantata stands alone effortlessly, in the aggregate they constitute, by evident design, a magnificently cohesive whole. Bach’s narrative structure lucidly delineates the Nativity story, which is further supported by the key sequences of Bach’s large-scale harmonic design. Successively, the six panels of the double triptych that comprises the Christmas Oratorio trace a cogent narrative arc through the Birth, Annunciation, Adoration of the Shepherds, Naming, Journey of the Magi, and Adoration of the Magi. Throughout human history, the dark winter solstice has been a time to turn on the lights (or light the bonfires) and, with the harvest completed and the next round of planting still in the offing, to feast unabashedly and in large numbers on perishables and preserved meats. Though there is, to be sure, a legitimate musicological basis for advocating on behalf of Bach performances by small musical cohorts, there is also something important to be said in favor of turning out the whole community to celebrate, as we will do on December 9. Sometimes it does take a village. 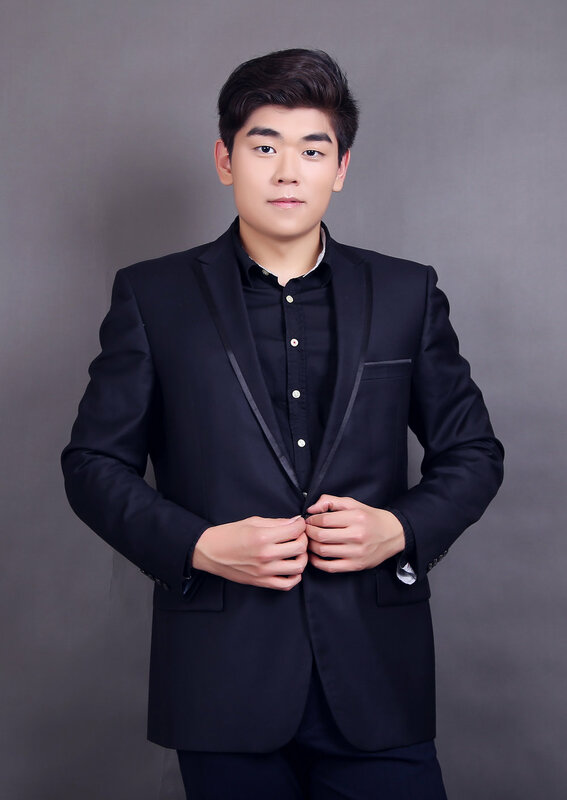 Bass-baritone William Guanbo Su, 23 this month, discovered his voice by accident when he was in elementary school in Beijing. Like all the other schoolboys in his choir class, William sang soprano. But their teacher had a beautiful, deep bass voice; and so, wanting to emulate him, William suddenly started singing several registers lower. The teacher, thinking that William was making fun of him, threw him out of the class. The second time this happened, the teacher accused him of insolence and of singing too loud. William didn’t return to choir class. Instead of upbraiding her son for disrespecting his teacher, William’s mother—whose own father had a deep bass singing voice that was never trained—set out to find him a voice teacher. A student at the Central Conservatory was willing to train the young boy, and the results were enough to get William admitted to a highly selective private middle school on a voice scholarship. While there, a teacher urged him to go to America if he was serious about singing Western classical music; her American husband helped William with all the necessary forms, documents, and applications. He was accepted on scholarship as a boarding student at the Walnut Hill School for the Arts in Natick, MA, near Boston. At the age of fourteen, William arrived alone in the United States. He knew no one and spoke no English. In addition to following a full curriculum of normal high school classes, he would have a full roster of music and voice lessons, and be coached by singers and teachers from Boston University and the New England Conservatory—a daunting prospect. By now that voice had deepened to a bass/baritone. He was accepted at the Manhattan School of Music and graduated with a Bachelor of Music degree last May. He spent the summer of 2016 in Vienna at the Franz Schubert Institute, studying German Lieder. “This was a life-changing experience. I learned how entwined the text and the music are. I was taught not to sing the words, but to speak the notes.” He often took long walks in the woods where Schubert and Mozart had also walked, listening to the bird songs, the river, and all the other nature sounds that had inspired them. Last month William received First Prize in the prestigious Gerda Lissner Lieder/Song Vocal Competition as well as an Opera Index Encouragement Award. Mr. Su has performed in solo recitals around Europe, Asia, and the United States. He’s operatic roles range from Monteverdi’s L'incoronazione di Poppea to Janacek’s The Adventures of Vixen Sharp Ears. He has also concentrated on German Lieder at the Franz Schubert Institute in Vienna, where he was coached by Emmy Ameling, Olaf Bar, Helmut Deutsch, Robert Holl and others. He recently won first prize in the 2017 Gerda Lissner Lieder/Song Vocal Competition, as well as an Opera Index Encouragement Award. Born in Beijing, China, Mr. Su moved to the United States at the age of 14 to attend The Walnut Hill School for the Arts in Natick MA. He continued his voice studies at the Manhattan School of Music, graduating last May. He is currently pursuing his Master’s degree at Juilliard under the guidance of Cynthia Hoffmann. Two U.S. premieres, three last works, two compositions for chorus and organ, two famous and beloved standard works, two requiems, works by two Frenchmen, one living composer and arguably the most colorful female composer in history, two oratorios of which one is not called an oratorio but a symphony. How many concerts does that add up to? Three! For its 2017-18 season, The Cecilia Chorus of New York presents a mixed bouquet of musical offerings. This is in fact not one large work but six cantatas that were originally written to be performed over six days starting on Christmas Day and ending on the day of the Feast of the Epiphany, which is traditionally on January 6. The Cecilia Chorus will be singing this work in its entirety, with full orchestra and soloists. The U.S. premiere of prominent French composer Thierry Escaich’s Messe Romane. Escaich (born in 1965) is an organist-composer in the French tradition of Franck, Louis Vierne, and Messiaen. The Messe Romane premiered three years ago in the magnificent Cathedral of Notre Dame in Paris. For this work, written for organ and two choruses, The Cecilia Chorus’s Music Director Mark Shapiro will divide our large, 170+ member chorus into two groups, each with their own parts, who will respond to each other. Following the Messe Romane will be Charles Gounod’s stirring Requiem, which was to be his last work. He had written it for his grandson, but he himself died of a stroke just a few days after completing it, in 1893. Smyth (1858-1944) based the text on a book of the same name by her soulmate and sometime lover, the little-known writer and philosopher Henry Bennett Brewster. Though The Prison has the form of an oratorio, the fiery composer, political activist, and iconoclast called it a symphony, wishing to avoid the connotations of organized religion which she felt were associated with the term ‘oratorio.’ The Prison is Smyth’s last work. Mark Shapiro conducted this piece in 2016 with his chamber chorus, Cantori New York, using the composer’s own reduction for piano and bugle. Now, The Cecilia Chorus of New York will perform the piece in its full original orchestration, making this the second U.S. premiere of our season. Tickets for the individual concerts and for the entire 2017-18 season will be available for purchase later this summer. Chorus members see even more: music scores are ordered and sold at rehearsals, which take place in a rented hall where hot drinks and snacks are available during breaks. Membership and attendance lists are kept up to date, dues collected, fundraising events organized, grant proposals written and appeal letters sent out, auditions arranged, and social events are organized for members. The list goes on and on, and all of this is being carried out by volunteers from the ranks of our singers,, organized into committees led by members of the Board of Directors. In this and future newsletters, we will be highlighting the work of a number of our volunteers and committee chairs, starting with the publicity and development committees, currently chaired by Erika Renae Keith, Steven Salzgeber, Elaine Bergman, and Gina Carroll. Click on the photos to learn what they do for the Chorus. The publicity co-chairs work collaboratively with the communications coordinating committee to develop and implement a publicity and marketing strategy that focuses primarily on promoting The Cecilia Chorus of New York’s concert season. Chairs work with fellow board members to ensure that all communications to patrons, donors, and Chorus members have a streamlined look and feel across all mediums, including print, social media, the website, and email communications. The development co-chairs create and manage the development plan of the Chorus based on the strategic goals adopted by the Board of Directors. The co-chairs recruit volunteer choristers to work on appeal letters, fundraising events (including an annual Auction), donor relations, grant writing, endowment growth, and other activities as needed. An important part of the job, recurring annually, is the grant application for the New York City Department of Cultural Affairs (DCA) as well as the required Cultural Data Project. 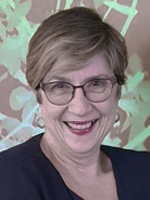 Elaine Bergman has served as board member and development co-chair for the past six years. She has developed and implemented a segmented, multi-tiered fundraising strategy as well as crafting new ways of reaching and appealing to existing and new donors in order to help keep the Chorus in good financial health. To this end, she started a bi-monthly email newsletter, which has since expanded its readership to include fellow Chorus members and attendees, as well as donors. “What I have enjoyed most is coming up with strategic ways to reach donors and get them excited about what we do,” Elaine says. “We need to do more than just ask for money. 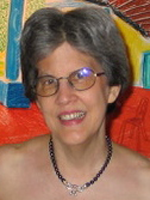 By creating various levels of giving, and instituting specialized funds like our recently created Composers Fund for commissioned works, I hope I’ve helped create a program of giving that will sustain itself in the long run.” Elaine plans to continue working on donor relations alongside her successor. Those plans include her Carnegie Hall debut on May 6 with The Cecilia Chorus of New York. 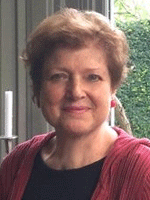 A beloved mentor of hers, Steven Blier, the artistic director and co-founder of The New York Festival of Song, offered her her NYC recital debut in 2015. Blier then introduced her to Maestro Mark Shapiro, who engaged her to sing in Dame Ethyl Smyth’s The Prison with his chamber choral group Cantori New York last year. He followed that up with an invitation to perform in A Garden Among the Flames and Brahms’s Requiem with The Cecilia Chorus of New York. Chelsea Shephard is dedicating her Carnegie Hall debut performance to the loving memory of her mother. 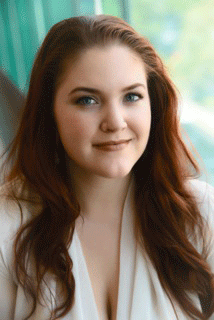 Chelsea Shephard, soprano, gave an “exquisite” NYC recital debut in 2015 with New York Festival of Song, garnering praise for her “beautiful, lyric instrument” and “flawless legato” (Opera News). In the 2016-2017 season, Ms. Shephard joined the roster of Lyric Opera of Chicago for a new production of Das Rheingold and will be making her Carnegie Hall debut with The Cecilia Chorus of New York on May 6. Other current season highlights include recitals and a recording of Paul Bowles’ Pincin Cantata (NYFOS), return engagements with the Madison Bach Musicians (Scarlatti’s Christmas Cantata, Bach’s St. John Passion), as well as her Chicago Chorale debut in Bach’s B Minor Mass. Previously, the versatile soprano has performed operatic roles including Beth/Little Women, Calisto/La Calisto, Pamina/Die Zauberflöte, Susanna/Le nozze di Figaro, Lauretta/Gianni Schicchi, Lisa/The Land of Smiles, Emily Webb/Our Town, and Poppea/L’incoronazione di Poppea with companies such as Madison Opera, Opera Grand Rapids, Haymarket Opera Company, and Caramoor International Music Festival. Ms. Shephard was featured as a Finalist for the Lyric Opera of Chicago’s Ryan Opera Center (2015), won First Place in the Madison Early Music Festival Handel Aria Competition (2014), The Schubert Club (2013), and National Opera Association (2011) competitions, and was a Finalist in the Jensen Foundation Competition in NYC (2014). She was also awarded an Education Grant from the Metropolitan Opera National Council (2016). The Michigan native holds degrees from DePaul University and Rice University, and she recently released her first CD, in collaboration with fortepianist Trevor Stephenson: Songs by Mozart, Haydn & Schubert (Light & Shadow Label). This summer, the pair will collaborate on a second album featuring songs by Debussy, Strauss, Ives, and Brahms with Mr. Stephenson’s lovingly-restored 1855 Bösendorfer piano. More information can be found at www.chelseashephardsoprano.com.